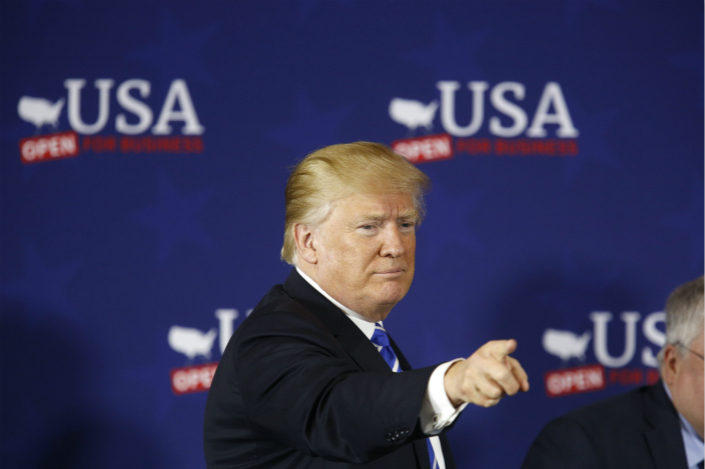 U.S. President Donald Trump said he is considering a new round of tariffs on an additional $100 billion worth of Chinese imports, prompting Beijing to say it will “fight back at all costs,” highlighting escalating trade tensions between the world’s top two economies. Trump said his move was in response to China’s announcement Wednesday that it will levy potential retaliatory tariffs on about $50 billion worth of U.S. goods, including aircraft and soybeans. Those taxes would take effect if the U.S. implements its own proposed tariffs, published in a document earlier in the week, targeting a similar value of Chinese goods. The U.S. Trade Representative's (USTR) office on Tuesday unveiled a list of 1,300 Chinese product lines worth around $50 billion that will be subject to a proposed 25% punitive tariff for alleged unfair trade practices such as intellectual property theft. “Rather than remedy its misconduct, China has chosen to harm our farmers and manufacturers,” Trump said in his latest statement. 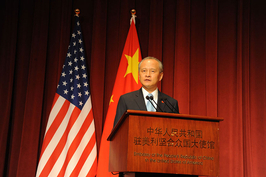 “In light of China's unfair retaliation, I have instructed the USTR to consider whether $100 billion of additional tariffs would be appropriate under section 301 and if so, to identify the products upon which to impose such tariffs,” he said, referring to a rarely-used trade act from the 1970s under which his administration has justified the tariffs. The announcement was quickly received by China with a strongly-worded pledge of new countermeasures. “China will strike back at all costs and we will definitely take new, comprehensive measures to deal with it to firmly defend the interests of the country and the people,” an unnamed spokesperson of the Ministry of Commerce said in a statement. Trump may not be able to soften his hardline stance on the trade issue, given that the U.S. midterm elections will take place later this year, where most seats in the Congress will be contested, said Zhong Zhengsheng, director of macroeconomic analysis at CEBM Group, a subsidiary of Caixin Insight Group. The elections are seen as a litmus test of voters’ views of the performance of a sitting president and they are crucial for Trump to push through his legislative agenda in the rest of his term. The White House’s actions invited immediate criticism from American politicians on Thursday, even from the president’s party. “Hopefully the president is just blowing off steam again, but if he’s even half-serious, this is nuts,” Republican Senator Ben Sasse said in a statement, according to U.S. media reports. Trump has indicated that Washington was ready to talk. “Notwithstanding these actions, the United States is still prepared to have discussions in further support of our commitment to achieving free, fair and reciprocal trade and to protect the technology and intellectual property of American companies and American people,” the White House statement said. A formal negotiation process has already started at the World Trade Organization (WTO), which announced on Wednesday that it has received China’s request for consultations with the U.S. over the tariffs the USTR has proposed. The two sides have 60 days to negotiate a solution. Otherwise a panel will be set up under the WTO dispute settlement mechanism to make a judgement. 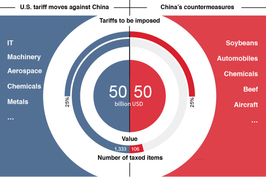 Analysts expect the tariffs by both countries will have limited impact on their economies, given that official Chinese and American figures showed a 25% levy on $50 billion worth of goods would account for less than 1% of China’s gross domestic (GDP) product and 0.6% of U.S. GDP. But they warned that Sino-U.S. trade frictions could increase and negotiations are likely to take time due to the complexity of issues and products involved. 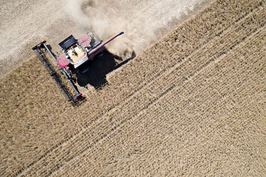 “While escalation remains a distinct possibility, both sides recognize that there are no winners in a trade war,” said Kerry Craig, Global Market Strategist at J.P. Morgan Asset Management, in a note after Trump’s Thursday move. However, negotiations “could be complex” because tensions between the two go “beyond a single trade dispute,” as the U.S. is keeping pressure on issues such as intellectual property rights violations and technology transfers, while China tries to move into higher value-added sectors, he said. CEBM Group’s Zhong expects negotiations and escalations to take place before China and the U.S. eventually reach a reconciliation. “The most likely outcome is (the two countries) will square off against each other while resolving disputes,” he said in a previous note.